John Mengucci, chief operating officer and president of U.S. operations at CACI International (NYSE: CACI), will assume additional responsibilities as COO in an effort to advance the company’s strategic growth initiatives. Mengucci will continue to report to CACI President and CEO Ken Asbury and will oversee the company’s mergers and acquisitions, contracts, human resources and recruitment and business development operations, the company said Monday. Asbury, an inductee into Executive Mosaic’s Wash100 for 2017, said Mengucci’s expanded responsibilities as COO would help accelerate the company’s growth strategy. 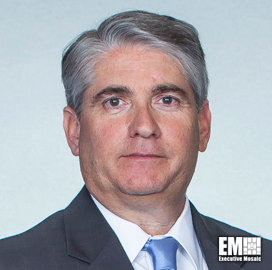 Mengucci previously worked at Lockheed Martin (NYSE: LMT) and held leadership roles at the information systems and global solutions business that was spun off from Lockheed and subsequently merged with Leidos (NYSE: LDOS) in 2016. He also served as a board member of the Tech America Public Sector Board and the RTCA NextGen Advisory Committee. DeEtte Gray, former president of the intelligence and security sector at BAE Systems’ U.S. subsidiary and a 13-year veteran of Lockheed, succeeds Mengucci as president of CACI’s U.S. operations.